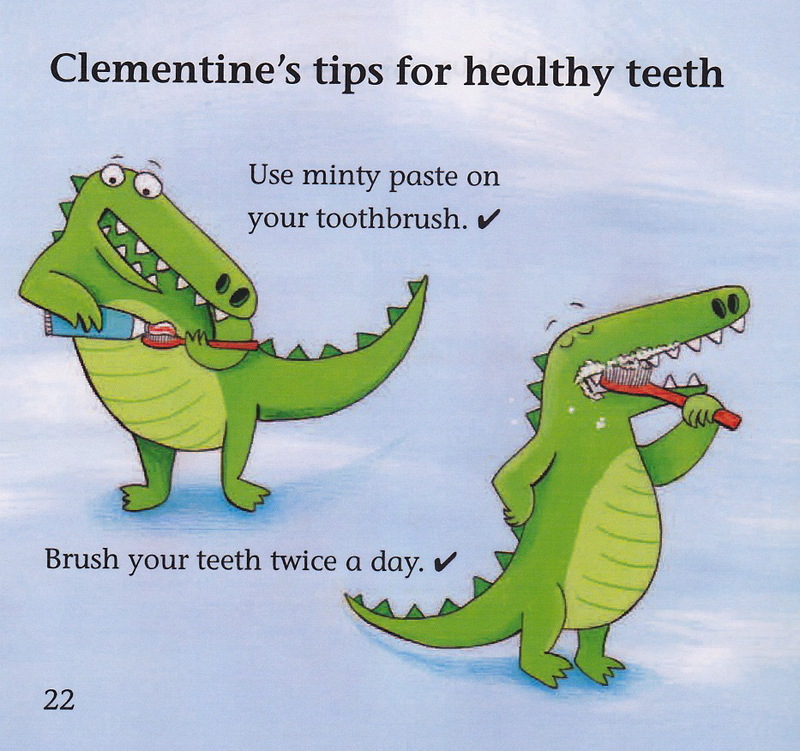 Today some final proofs came in the post for my next picture book, Clementine’s Smile. It is a Collins Big Cat book designed for readers in Year 2 (aged 6 and 7) and it’s another rhyming story (since I love to rhyme!) As you can see, Simona Meisser’s illustrations are colourful and fun. 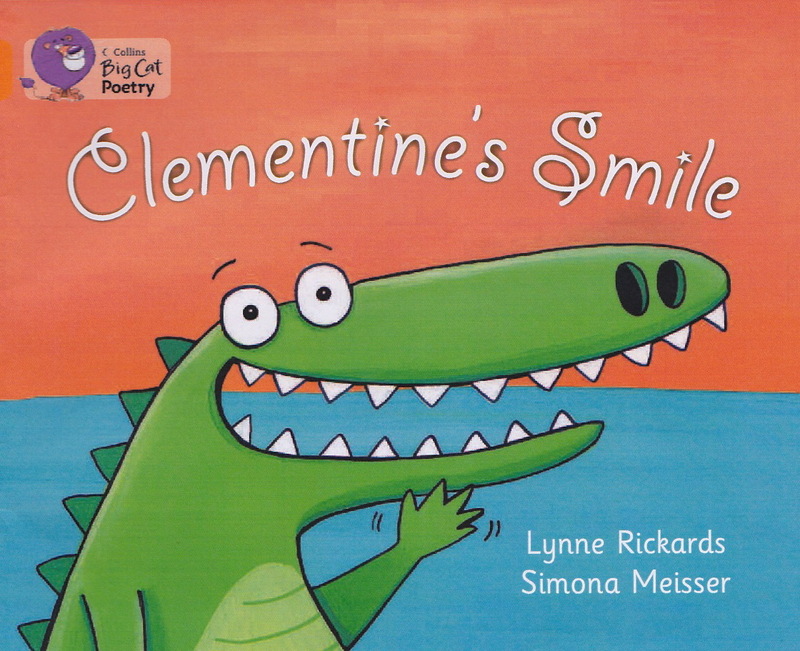 Clementine the crocodile is lots of fun and is usually smiling. When one of her teeth starts hurting, her parents say she must go to the dentist, and despite her objections they make an appointment for half-past two. Many children are nervous about going to see the dentist, and Clementine is no exception. Later her parents have to search the whole house because she is hiding and does NOT want to go! At last they find her and take her to the dentist, where she is a very naughty crocodile. I won’t give away the whole story, but let’s just say that the poor dentist has a tough time fixing Clementine’s sore tooth! 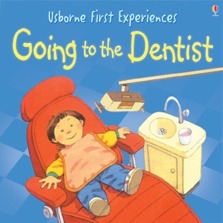 The Usborne First Experiences series has one about going to the dentist that you can see HERE. 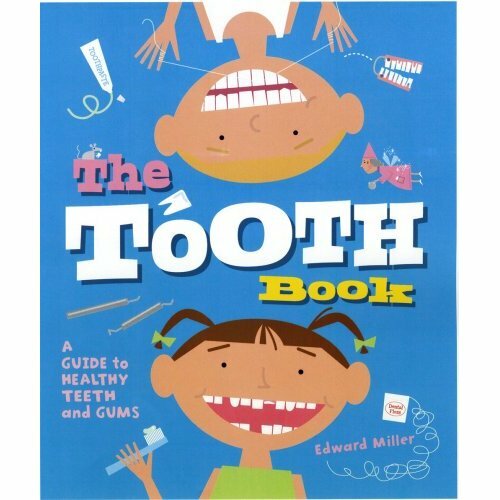 The Tooth Book is a non-fiction book (full of interesting facts) all about teeth and how to look after them. You can see more details about it HERE. 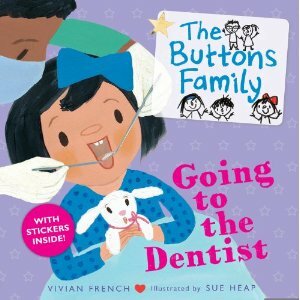 My friend Vivian French has a series of books about the Buttons Family (published by Walker Books) which looks at all sorts of scary first experiences. 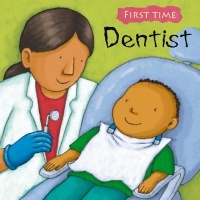 Her book Going to the Dentist came out in July 2012, and if you want to know more about it, click HERE. And one final book about dentists is from Child’s Play, a First Time book simply called Dentist. If you want to learn more about it, click HERE. Having a healthy smile is very important! Imagine if you couldn’t smile at all – what fun would you be then? Taking care of your teeth will make sure your smile is as sparkling as it can be. Happy brushing! I spend a lot of time thinking up new stories to write. Normally I write very short ones (for picture books) but occasionally I get carried away and write pages and pages! That is exactly what happened recently when I set about writing a story about a little boy called Simon who lives in a Medieval village. Don’t ask me why I decided this boy lived in Medieval times. Sometimes a character just tells you who he is and you have to go along with it! 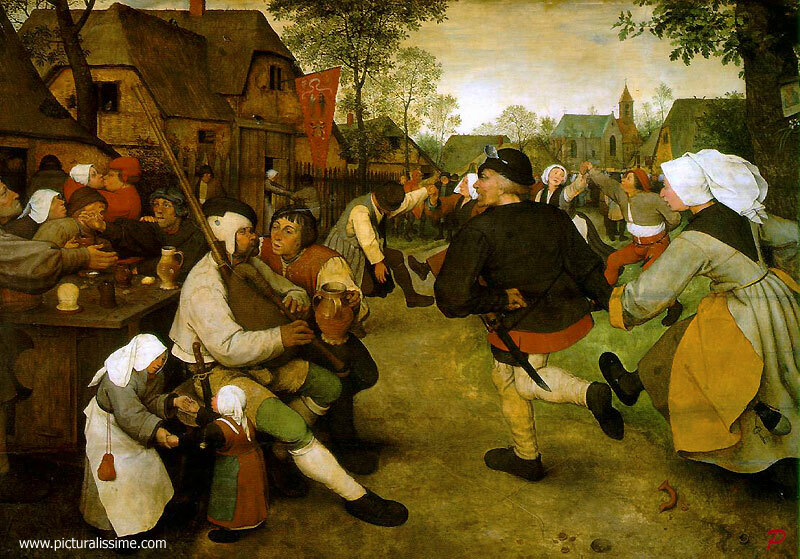 Perhaps I was inspired by a painting like the one above, painted by Pieter Bruegel in 1568. It shows a group of villagers at a dance, and it’s one of the best ways to learn about the way people lived in an earlier time. To write properly about Simon, I first had to do some research into how people lived in Medieval times (also known as the Middle Ages). When you write about a certain time in history, it’s important to get your facts right! Life was very different back then, about 700 years ago. It was long before televisions, computers and central heating were invented. There was no running water, so you had to go and fill a bucket every day at the village well or a nearby stream. They didn’t have soap or toothpaste or shampoo, and nobody understood that dirt could carry germs and make people sick. It was a pretty hard time to be a poor peasant boy. Simon would have lived in a simple wooden house coated in mud with a thatched roof. Because this was a time before chimneys, the fire they used to cook and keep warm would have made the house very smoky. 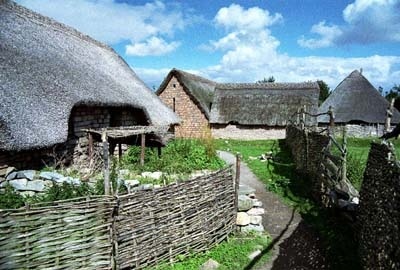 Here is a good website with more information about Medieval houses in Britain and what it was like to live in them. The man in this picture has big holes in the knees of his leggings. He has put the handle of his basket on his head to make it easier to carry (and keep his hands free). I’m not sure what that long stick is he’s holding – it looks like he’s going to play a game of lacrosse! I wonder what will happen to that goose when they get home… Will they eat it? In my story Simon works very hard, feeding the pigs, fetching water, mending the fence and trying to keep his bad-tempered mother happy (an impossible task!) 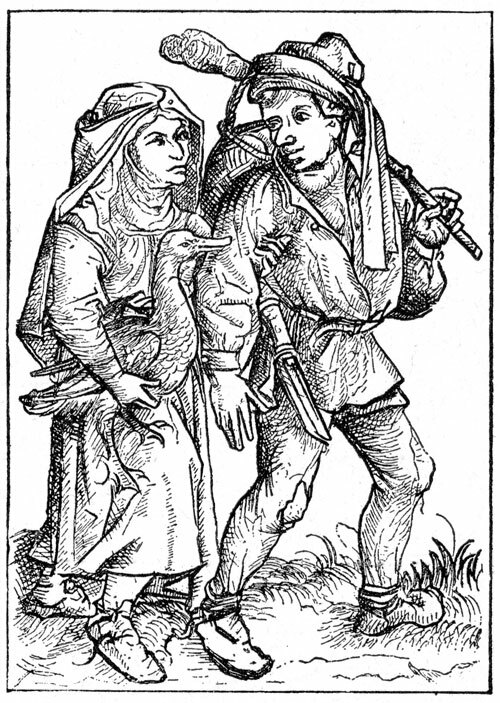 I needed to create other characters for the village, so I looked up the sort of names people had in Medieval times, and came up with Agnes (Simon’s mother), Gilbert the miller, Edmund the farmer, William the blacksmith and Martha the innkeeper. I had fun choosing names for all the wives, too: Bertha, Hilda, and Norma the nosy neighbour! If you’d like to see what it would really be like to live in a Medieval village, there are some in the UK and further afield that you can visit. Cosmeston Village is near Cardiff, in Wales. Hangleton Cottage is near Hove in East Sussex. Duncarron is a reconstructed Medieval fortified village that is still being built in the Carron Valley in central Scotland. Camlann Medieval Village is in Washington State, USA. This History on the Net website has a great checklist for choosing the perfect place to set up a Medieval town or village. It has to be near water, have a good supply of wood for fires, and also have a clear view all around so you can see your enemies coming! I had a great time writing the story of Simon and his Magic Fish. Maybe one day it will be published and you can read it!